Conveniently located in Bellariva ( Rimini area south ) , just over 100 meters from the sea and about 4 km . from the historic center of Rimini Bed and Breakfast " The Zuclein " is located in the apartment where I live on the first floor of a villa built in 1952 by my grandfather and renovated a couple of years ago . The name I gave it the nickname in dialect which was referred to my family at that time . This choice , to remember how to get tourists to the dawn of seaside tourism on the Adriatic coast and reproduce in contemporary terms the kind of welcome and hospitality. 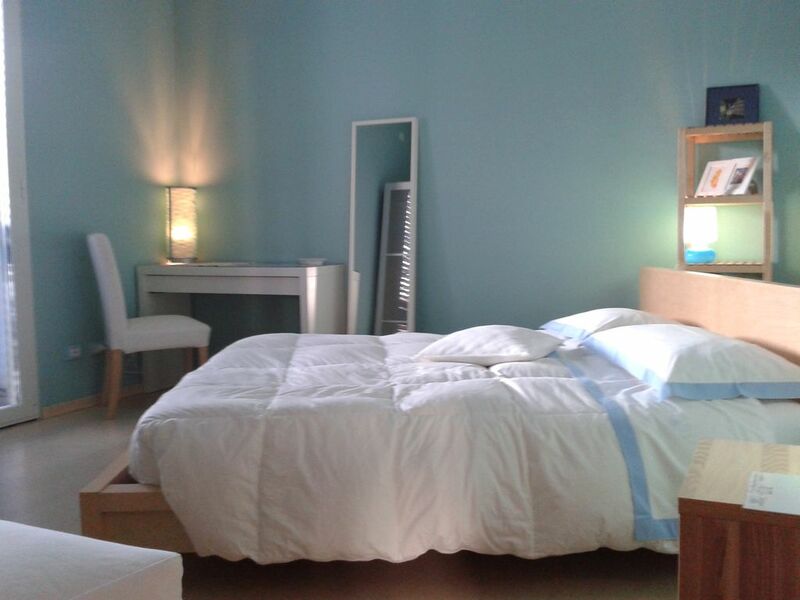 In the hotel the guests there are two double bedrooms, both with bathroom for exclusive use. The service includes bed and breakfast, daily cleaning, changing sheets and towels every three days (implied at every change of guests), key for a return evening flexible and independent. Breakfast is served in time to be agreed, usually between 07.00 and 10.00 and can be a good time to make conversation. You can park on the property. It is not intended to be used in cooking and are normally not allowed outside visitors ... and pets of any size or species. I chose not to provide the TV in the room because there is certainly better to do around here, in fact I can provide a wide range of guides published by the Province to know everything that the city offers and the hinterland. In this regard, being an amateur cyclist, I can suggest cycling routes and possibly are available to take guests, with times to be agreed, on routes for all levels of preparation. Within 1km. There are three bike shops with rental and skilled mechanics (in Romagna the bike has a large following of fans!). Sauberes Zimmer und einen sehr freundlichen Gastgeber.